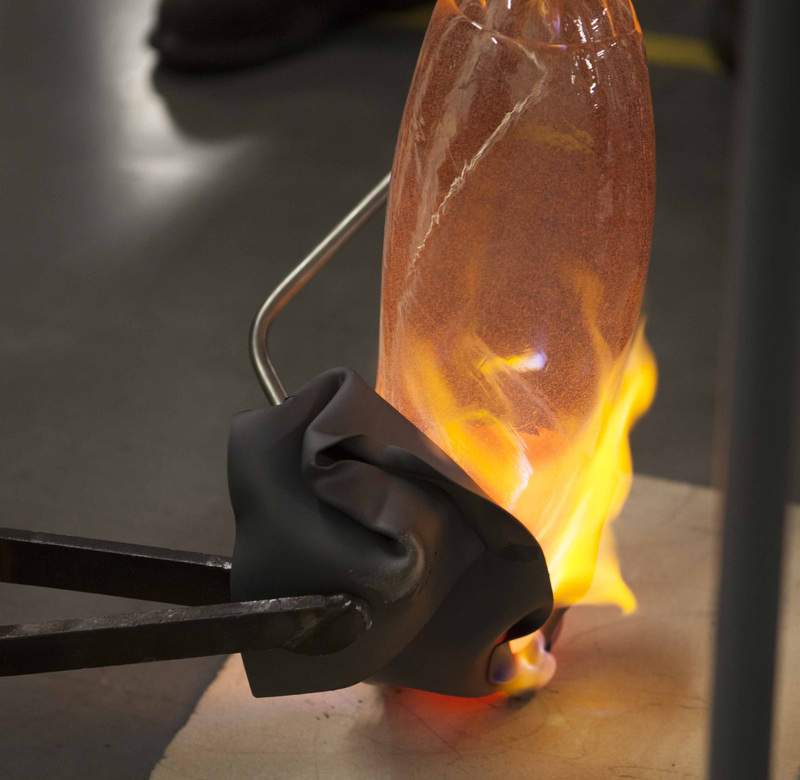 CORNING, NY—The Corning Museum of Glass and Corning Incorporated (NYSE: GLW) announced today the launch of a new artist residency program, which will support artists in adapting specialty glass materials for the creation of new work. The first artist selected for this unique collaboration is American sculptor Albert Paley, who is best known for his large-scale works in metal. Corning Incorporated, which has developed and patented more than 150 specialty glass formulations, will provide the resident artist with access to specialty glass, as well as access to staff with technical expertise in glass formulation, melting, and forming. The Corning Museum of Glass will provide access to its extensive resources, including its glassmaking facilities and collection. The resident artist will work closely with the Museum’s glassmakers, curators, and other staff to better understand glass and its historical and artistic contexts. Paley has chosen to work with two Corning glasses. He will primarily explore furnace-working and casting of Corning Code 7056, a borosilicate glass that was engineered to bond tightly to a metal alloy called Kovar. Corning 7056 is used industrially in special electronic circuit packages that need the durability of the metal, and the transparency of glass, with a perfect, air-tight seal between the two. In addition, he will investigate high-purity fused silica (HPFS). HPFS can be aggressively shaped and joined with a torch, similar to how Paley works metal. Paley will work on the Corning campus through June 30, 2015. Residencies in 2015 will be by invitation only. Notable examples of Paley’s work include the Portal Gates for the Renwick Gallery of the Smithsonian Institution in Washington, DC; Synergy, a ceremonial archway in Philadelphia; the Portal Gates for the New York State Senate Chambers in Albany, NY; and Sentinel, a monumental plaza sculpture for the Rochester Institute of Technology. Recently completed works include three sculptures for the National Harbor development near Washington, DC; a 130’ long archway named Animals Always for the St. Louis Zoo; a gate for the Cleveland Botanical Gardens in Cleveland; a sculptural relief for Wellington Place, Toronto; Threshold, a sculpture for the corporate headquarters of Klein Steel, Rochester, NY; and Transformation, a ceremonial entranceway for Iowa State University in Ames, Iowa. The Corning Museum of Glass is home to the world’s most important collection of glass, including the finest examples of glassmaking spanning 3,500 years. Live glassblowing demonstrations (offered at the Museum, on the road, and at sea on Celebrity Cruises) bring the material to life. Daily Make Your Own Glass experiences at the Museum enable visitors to create work in a state-of-the-art glassmaking studio. 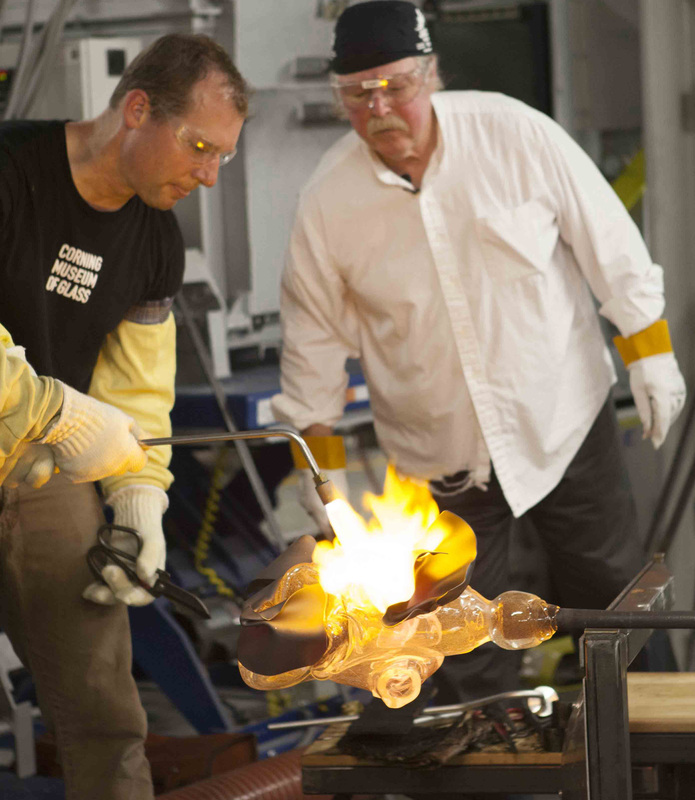 The campus in Corning includes a year-round glassmaking school, The Studio, and the Rakow Research Library, the world’s preeminent collection of materials on the art and history of glass. Located in the heart of the Finger Lakes Wine Country of New York State, the Museum is open daily, year-round. Kids and teens, 19 and under, receive free admission. www.cmog.org. The Museum is currently adding a North Wing, designed by Thomas Phifer, which will open March 20, 2015. The 100,000-square-foot North Wing addition will include a new 26,000-square-foot contemporary art gallery building, as well as one of the world’s largest facilities for glassblowing demonstrations and live glass design sessions.